Ulrichsweb™ brings the scope and depth of the authoritative Ulrich’s Periodicals Directory™ to your library with content and customizable features to help you discover, evaluate, and make decisions about serials resources and their providers. 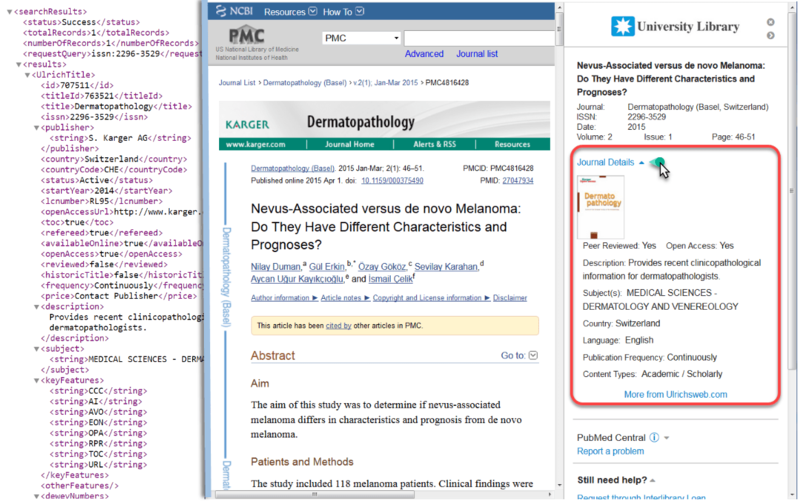 Ulrichsweb is the place to find the latest bibliographic, publisher, and availability details you need in one location, with user-friendly searching, actionable results, and integration with your library’s discovery and management workflows. 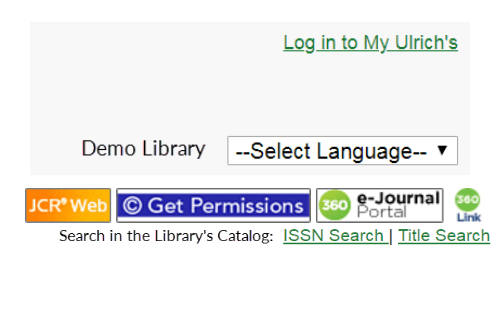 Ulrichsweb knows global periodicals: journals, magazines, monographic series, newspapers, and other serials in electronic, print, and microform formats. 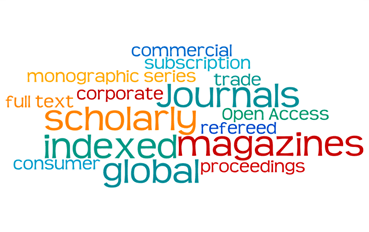 Learn about and explore titles from scholarly, consumer, trade and niche publishers across all subjects, regions, and languages. You’ll find current availability details from thousands of full-text providers, abstracting and indexing sources, and document delivery services to get a complete picture of subscription and Open Access titles. 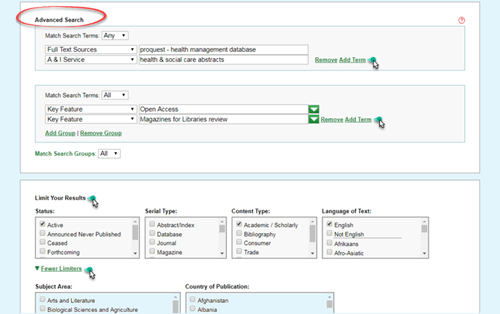 For academic libraries, Ulrichsweb makes it easy to identify scholarly, peer-reviewed, or recommended titles for study or as publication outlets. For all libraries, rich records reveal details such as publisher, editorial focus, format, subjects, language, ISSN and title history. Links between related serials enable serendipitous discovery. 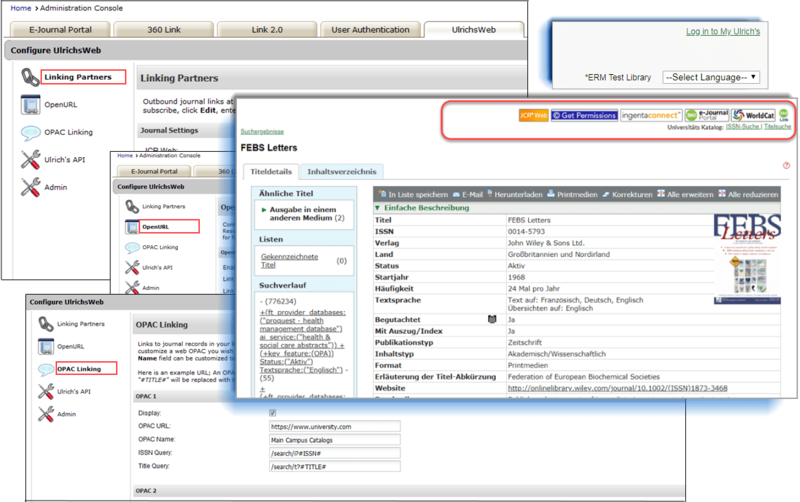 OpenURL-enabled tables of contents and links to your catalog help patrons discover full text in your library’s electronic collections. 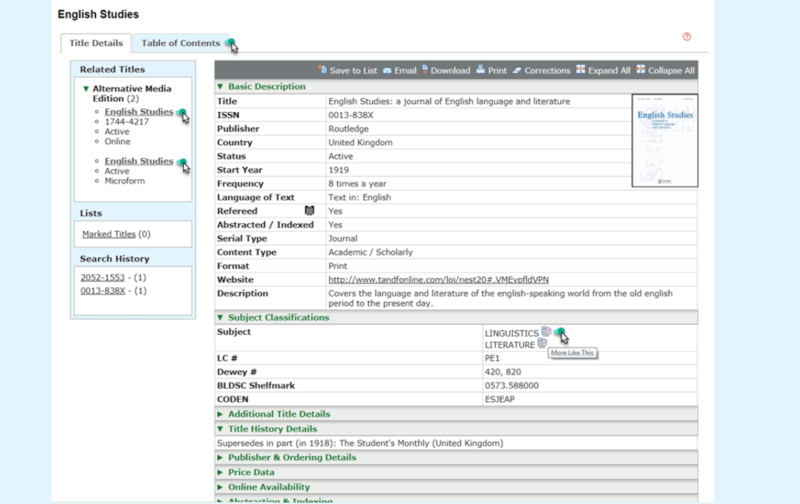 Advanced search tools for librarians make quick work of in-depth analysis of individual titles and aggregated packages. 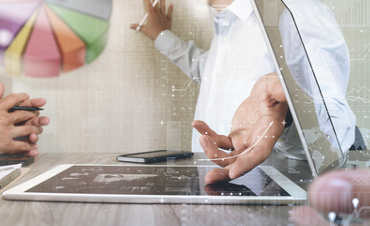 You can compare and evaluate formats, full-text and indexing coverage, document delivery options, list prices and other key features important to your serials decisions. Thousands of librarian-authored reviews from ProQuest’s Magazines for Libraries™ are included to identify recommended and core titles for academic, special, school, and public libraries. Ulrichsweb’s user interface can be customized to reflect local preferences. 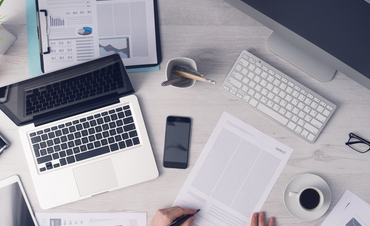 Users can choose a preferred language for navigation, search, and results. You can enable your OpenURL resolver, library catalog, or interaction with third-party services that are Ulrichsweb linking partners. The free “My Ulrich’s” feature lets individuals save personal settings, build and share title lists, and receive Ulrich’s Alert notifications of new, changed, and ceased publications. 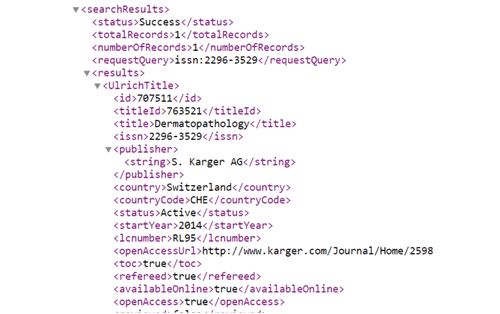 Libraries can enrich their research guides and other library web pages with authoritative serials data using the Ulrichsweb API’s JSON or XML output. Ulrichsweb libraries with Summon or Primo can integrate Ulrichsweb API output to enhance serials discovery. 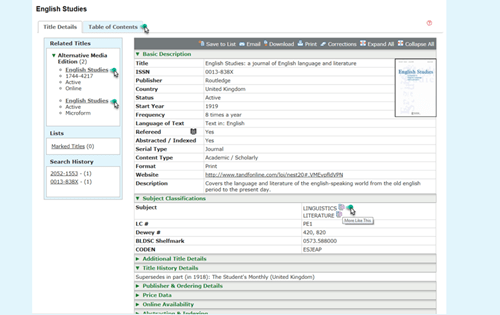 Ex Libris offers Ulrich’s journal-details enrichment to Ulrichsweb subscribers with 360 Link (version 2.0) or 360 E-Journal Portal, to enhance search results in those services.